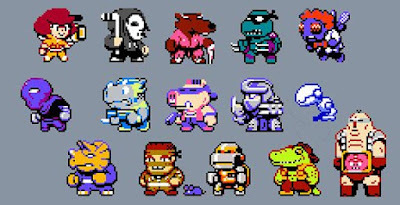 Destructoid's Jonathan Holmes spotted some interesting Teenage Mutant Ninja Turtles pixel art on Twitter by Spelunky Creator Derek Yu and decided to inquire what he'd do with it given the chance. "Top-down stealth game that switches between city and sewers, changes to free-scrolling beat 'em up when you enter a mission. Regular missions are randomly-generated, special missions are unlocked when you win enough territory back from the Foot Clan. Getting spotted too many times in the top-down part will force you back to the sewer for a time and let the Foot gain territory. Dear Activision, if you are still in control of the video game rights, please make this happen. Danger of the Ooze was mediocre at best, the newest TMNT movie tie-in was all right, the mobile movie tie-in was pretty good, and Out of the Shadows was a poorly done game with a ton of potential. A combination of the side-scrolling beat-em-ups from the Konami years, with the old school Nintendo TMNT could be what the franchise needs for a video game revival. There's even a really interesting fan made game I've got on deck to review, although only the first 4 levels are currently testable. The Teenage Mutant Ninja Turtles deserve a game worthy of their fans. Yu's proposal above could be what we are looking for. There's a plethora of material to draw from, and his pixel art game could be marketed to the ever-expanding mobile audience with an insane amount of consumers to back it. There is so much potential in a proper TMNT game. The best games I've found recently are the Nickelodeon free browser-based web games Donnie Saves a Princess and Turtle Tactics 3D. Where's all the games that fans have been clamoring for? Seriously, Activision, I've said it for years- either go retro for the fans, or create a game that is 4 person multiplayer open world like a combination of the Lego Marvel Super Heroes game and Skyrim? Think of the possibilities, you can have New York, Dimension X, and even all the different eras in history from Turtles in Time- all in a vast open world with consistent random spawning enemies, that fight among each other like the Batman Arkham series. I can see all the proper elements being hinted at and begun in Out of the Shadows and the 3D Teenage Mutant Ninja Turtles Nickelodeon cartoon tie-in, but they were never fully realized. Imagine how great a 3rd person TMNT game could be, even a Lego TMNT would be great. Give players the chance to play as more than just the 4 turtles. 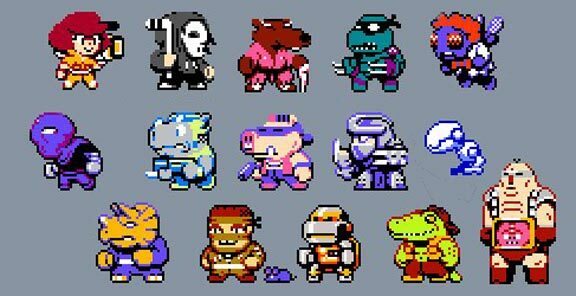 Maybe make April O'Neil, Casey Jones, Splinter, Slash, and Metal Head would be unlockable for play. Heck, if they really want to make things interesting, open up the villains for play to allow for more PvP action. There's really unlimited potential and these types of games can start with Derek Yu's vision and expand from there. It's time to take up the reigns and let people that know what they're doing make games for the fans. Take chances and make something new and interesting while maintaining the multiplayer fun of the old school days. This is a true gold mine of opportunity.